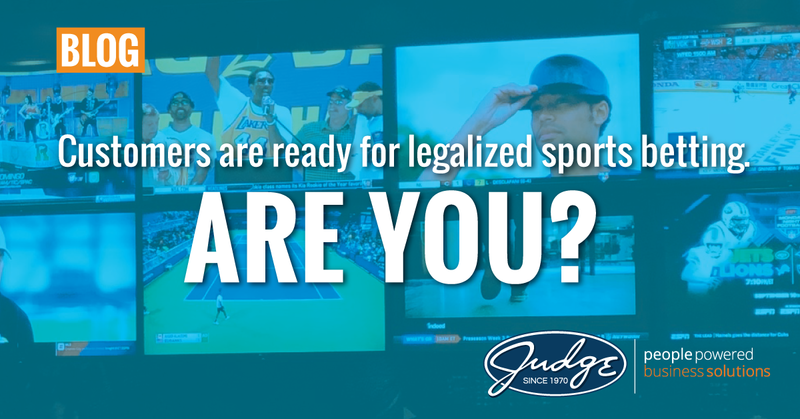 Customers are ready for legalized sports betting. Are you? It’s an exciting time to be a casino resort or racetrack. With the Supreme Court’s decision to strike down the Professional and Amateur Sports Protection Act (PASPA) of 1992, states are now free to create their own laws regarding sports betting. As laws legalizing sports betting continue to be passed, and they’re happening quickly (see Delaware and New Jersey), it is imperative that casinos and racetracks are in a position to take advantage. Creating this experience is going to take more than buying a bunch of TVs, engaging one of the betting services, and upping your DirectTV subscription. It’s going to take an investment in network and wireless infrastructure to support and leverage the ability to take bets, get the betting public out, and keep the bets & odds up-to-date because they're changing so quickly. Your facility should be equipped with a highly available (HA) network – that is a network that will be continuously operational. This means having redundancies set-up, including ISPs, VPN tunnels, firewalls, and related infrastructure, therefore removing as many single points of failure as possible. Additionally, your cabling solution needs to have a redundant design. This is accomplished by having access to multiple switch stacks each with redundant, separate uplink paths back to the core. Speaking of redundancy, you need to think about redundancy for your TV programming. As I mentioned above, you only have one shot at getting this right. Anyone who has ever experienced satellite TV knows that it is susceptible to failure in bad weather. DirecTV has exclusive agreements with the NFL and MLB for Sunday Ticket, MLB Extra Innings, etc. forcing you to adopt their service as your primary source of TV programming for serious sports betting. Eliminating the single source, single point-of-failure through redundant TV sources, hardware, and simplified, scalable control of these systems is a must. Wireless adds another wrinkle into your technical plans. Inside your facility, every wireless access point has the potential to become a traffic bottleneck – slowing down betting and generally providing a poor end-user experience. The solution is to install multiple access points, each one with a small cell of coverage and a seamless, high-speed handoff from one access point to the next. Having many access points makes your set-up more complicated, but it’ll better insure a great user experience within your facility. The future of the industry is in-game bets. The goal is to change odds at half-time and take bets - these are small windows. To increase the number of bets you can take, companies are looking for live, moment-by-moment betting. So, it's going to require a very strong and stable infrastructure to support this application. Even some of the casinos with a more mature sportsbook will have expansion needs. What we're doing with most of our casino and racetrack customers is expanding their existing gaming network to handle the betting machines & kiosks and then looking at the network for interacting with wireless betting tablets. However, not all cases are the same and some states require a totally independent network for sports book gaming. In every state, even in areas where laws haven’t been passed yet, we’re working with places to design what they’ll need so they can “Go-Live” as soon as the law passes. This is a great opportunity for your facility to bring in a new clientele and revenue center. Don’t get caught flat-footed by not adequately preparing your facility to handle the demands live-sports betting will place on your infrastructure. Remember: you only have one shot to make a first impression on potential new clientele. Make sure it’s a good one. Use the form below to learn more about Judge’s experience in the gaming industry and to start a conversation today.